It’s still slightly green here on the NorthCoast, but fall definitely blew in over the weekend. It was blustery and grey and cloudy and there were little flakes of…not really snow, but also not rain. I don’t have a good word for it. What I do have? A favorite fall recipe that I’m so glad I dug out for the weekend. 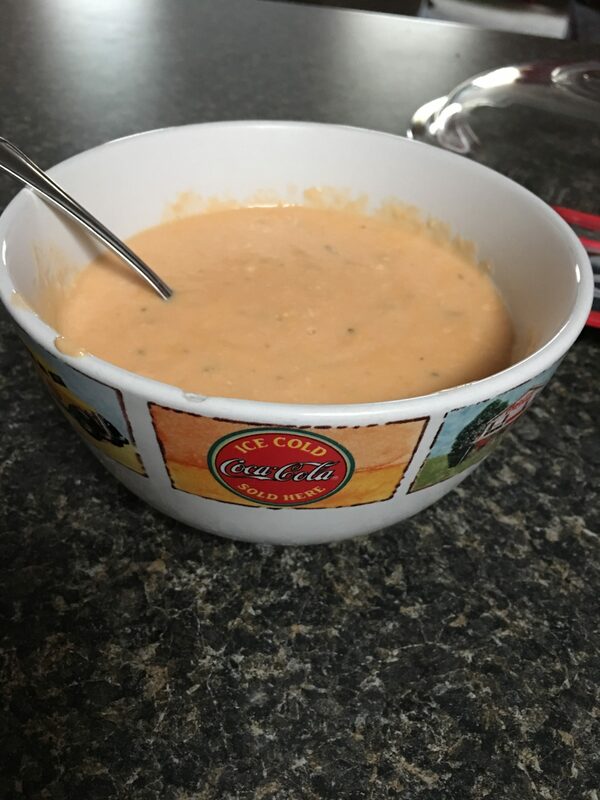 Knowing it would be blustery and cold, I knew it was going to be a soup kind of a weekend. So I headed to my trusty recipe binder and pulled out a favorite: Wisconsin Cheese Soup. Yum – perfect for a blustery, fall day! melted. Ladle soup into bowls. If desired, serve with croutons or oyster crackers. The cooktop method takes about 30-45 minutes. The Crockpot Method: Once the flour and butter are cooked/combined, transfer them to the crockpot and turn it on low. Stir in milk and beer, keep stirring for maybe 2-3 minutes, just until the flour and butter are combined. This is what thickens the soup, after all. Next, add in the Worcestershire sauce, mustard, salt and pepper. Give it a final stir and then cook for 4 hours. Serve with croutons or oyster crackers. These methods taste the same; the difference is that I can do crockpot method in about five minutes and go on about my day, letting the crockpot do the heavy lifting. That’s a win my Kristina’s book! However you choose to do this recipe, I hope you enjoy!